We're committed to providing exceptional Commercial Real Estate services across all commercial property types. GBRE advisors provide well-informed guidance in every aspect of the Commercial Real Estate transaction, including: acquisition, disposition, site analysis, and relocation. Whether you are looking to acquire, sell, lease, or develop Commercial property, GBRE advisors can provide professional advice and market knowledge to help find the best solutions and provides the formula for success. Our relationships/projects receive first-class representation designed to generate awareness among the entire Real Estate community including users and brokers. 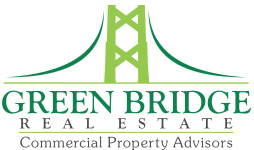 Located in Cleveland, Ohio and utilizing the CCIM Network, Green Bridge Real Estate has the resources and the experience to service locally and globally for our clients needs. Contact us today to discuss your project/assignment. (216) 452-9292.